Christmas in October continues today with this guest post from author Justin Bog! Thank you for sharing the holiday spirit early, and giving me a spot in your Christmas in October series. I love writing holiday stories, mainly of the Christmas variety. Often, setting short stories during the holidays heightens subtext: anxiety, gratitude, making the holiday cheer mean something more! On my A Writer’s Life blog (www.justinbog.com) I began offering free short stories each month during the year 2011, and made sure the December tale linked to Christmas in some way. The theme had to resonate even in the slimmest way. Not all stories set in December are holiday stories, and that’s a fine line to walk when writing in the literary genre about real people, natural conflicts that arise, and hopes, dreams, and frailties. So, from 2011 through 2013, I guided three holiday tales to a nice end: Hark (a policeman feels resentment over his near past during one Christmas Eve), Seducing Santa (a single businesswoman doesn’t have time for love and decides to change that by any means necessary), and Bracelet (a widow has lost the bracelet she meant to send to her emotionally distant sister, and this makes her reflect on the life she’s led—will she find more than she bargained for?). 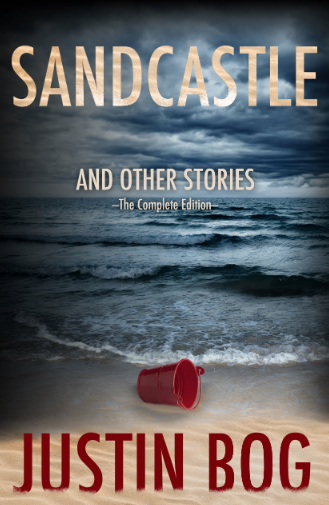 In 2014 I switched publishers and in speaking to my publishing team I realized the very first book that should be released was a collection of my holiday stories. I could title it: Hark—A Christmas Collection. This was early October, and I’d recently finished writing that year’s tale, Everyone Wants Me To, a holiday tale centered around madness and mental instability and where deep family bonds, severed over time, can lead even the strongest of wills. In order to get the book formatted and published before Christmas (with enough time to sell to family, friends, fans, and readers of holiday tales), I’d need a quick turnaround, and moments of good joy fell into place. Shari Ryan designed the book cover to Hark with the littlest of instructions—something cheerful but pointing to a more literary and mature reader. These are holiday stories with adult worries, stresses, and they lack a seasonal sweetness (on purpose). There is redemption and hope in the dimmest of places. 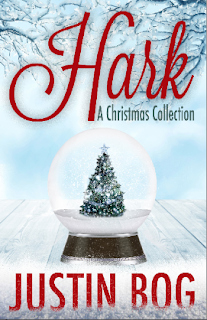 When I received the art for Hark, I loved the Snow Globe sitting under icy trees, the snow-filled background, the Christmas tree. And, this image of a snow globe became the inspiration for that story, titled: Snow Globe (a gay couple are invited to a posh holiday party in Sun Valley, Idaho and a guest decides to reveal a hidden truth). Without the book cover art this story wouldn’t exist. To wrap up the stocking stuffer collection, I decided to set another story in my home town of Anacortes, Washington, and link it to the other local tale, Bracelet, by talking about a few of the same characters who inhabit the San Juan Island home. This story reveals the secrets a retired couple have held for four years following a grim medical diagnosis. They play the roles of Santa and Mrs. Claus in the town holiday pageant, and someone in line makes them take pause. So, Hark came together by the end of October 2014, and I loved writing about Christmas in October. I also look forward to releasing this year’s holiday story. It’s my way of giving back. Enjoy the season, read good books, and live with no regrets. 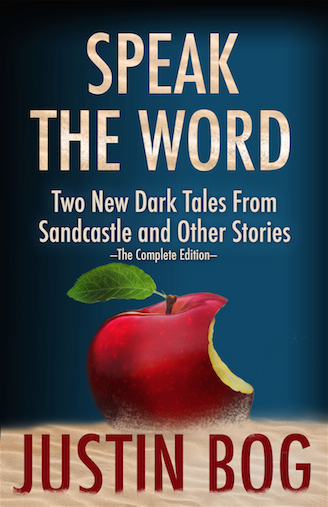 Speak the Word (the two new dark tales added to Sandcastle and Other Stories)—exclusively offered as an Amazon eBook for kindle.